Oh my, Mr Downey Jr. What big eyes you have. The artwork comes from the cover of #Special Tony to Mutta, a new one-shot crossover printed in Japanese women's magazine FRaU by acclaimed Manga artist Chūya Koyama. The short, part of a feature in the magazine about why Japanese adults are into Disney, is a collaboration between Marvel and Koyama's seminal manga Space Brothers, which follows two brothers — Mutta and Hibito — on their quest to become astronauts in the Japanese space program, JAXA. 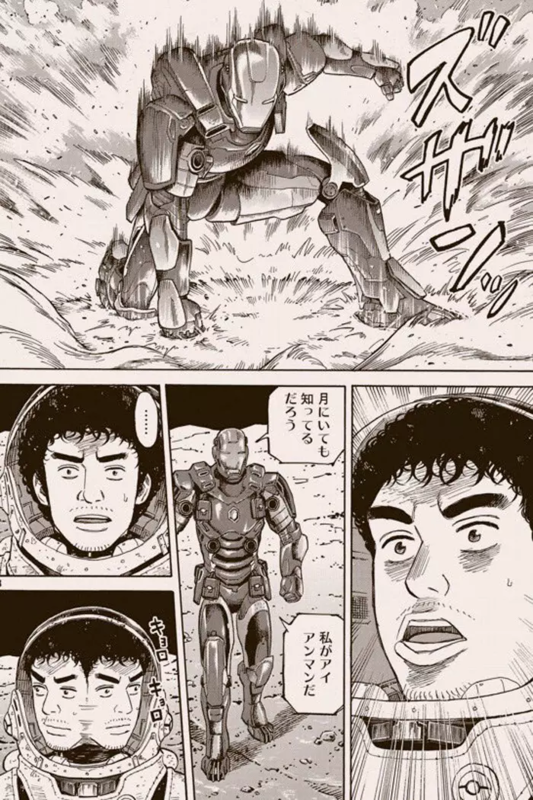 The story sees one of the brothers, Mutta, coming across Tony Stark on the moon — and being understandably confused as to what the hell Iron Man is doing up there. 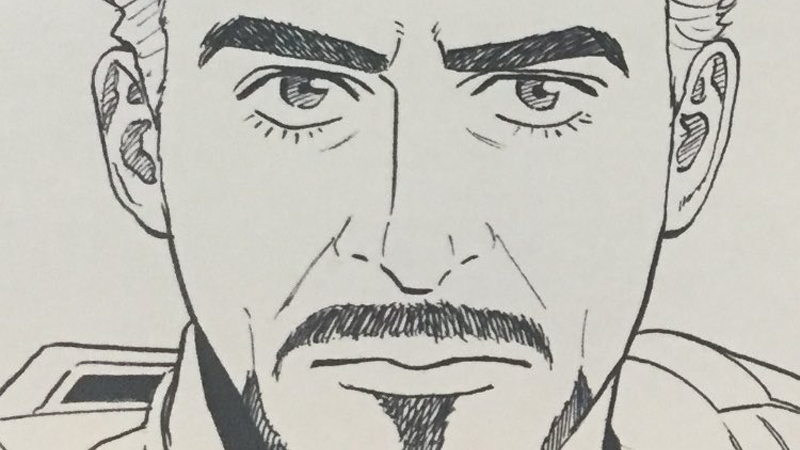 Tony's no stranger to Japanese crossovers — he's appeared in his own anime, on Japan-only kids shows like Marvel's Disk Wars: The Avengers and, of course, the Attack on Titan/Marvel crossover a few years ago. Just showing up in Space Brothers is actually a bit restrained for what he usually gets up to in these transcontinental shenanigans.